At David LeRoy Plumbing, our plumbing professionals can help you with any sewer problem you may have. We can inspect your current sewer system to evaluate its condition and make sure things are functioning properly. We perform video inspections in which we use state-of-the-art cameras and equipment so we can pinpoint the exact location of any problem, if there is one. If you need installations or repairs, we can handle that too! Our plumbing technicians are trained and experienced in all types of sewer repair. With the use of trenchless sewer repair and installation, we can guarantee no digging up your lawn, driveway or patio! The value of your property will not be affected by our non-intrusive methods and services and we are able to fix damaged pipes and were lines with minimal digging and interruption to your property. And we offer 24/7 emergency service! You should NEVER try to repair a gas line, fuel line or a gas line leak on your own. As a safety precaution, a sulfur-like odor is added into natural gas so it is easy to smell and identify residential and commercial gas leaks. If you ever have a strong gas smell in your home or think that you may have a gas leak – Call 911! For these types of emergencies, a professional plumbing company like David LeRoy Plumbing is required to make sure your gas line is safe and not a danger to your health or safety. Our knowledge and expertise involving fuel line repair is crucial in order to guarantee safety and security during times of serious gas line emergencies. Our technicians don’t take fuel line repair lightly – Your safety and health is extremely important to us. With the number one priority of customer satisfaction, we guarantee you will be safe, healthy and comfortable and back in your home in no time. We are the reliable professionals that you want working for you in protect your family and home from the dangers of gas line leaks of gas line damages. If you need a fuel line installed or require emergency service, we are available 24/7. 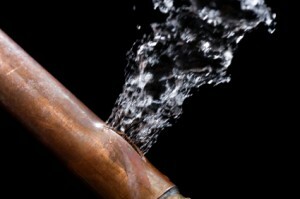 At David LeRoy Plumbing, we know that water line repairs and installations are by no means do-it-yourself kind of jobs. They can be dangerous! As a professional plumbing company, we can handle all of your water line needs safely and efficiently to make sure you are up and running in no time with as little interruption to your daily life as possible. We also provide emergency water line services just in case a problem should present itself unexpectedly… like they all do. We value our clients and community and would never want anything hazardous to occur in your home. If you are in need of a local, trusted plumbing company in Harrisburg & the Greater Area, contact us today. Contact us today if you need well services, gas, sewer or water line installations or repairs.. We’re here to help by providing with free estimates, flat rate pricing, and 24/7 emergency service! To learn more about our gas, sewer and water line installation or repair or to speak with a friendly representative, call us today at, or contact us online.